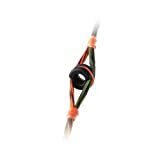 Best Bow Peep Sight Size for Hunting: Which Will Work For You? One of the most often-asked questions in bow hunting is what peep sight size should I be using? Sorry to disappoint, there isn’t a black and white answer that would instantly custom match you with the right peep size for your setup. There are more than a couple factors that you need to consider before you get all gung-ho on going with the smallest or largest size you can find. Like everything to do with bows, there’s quite a bit that goes into answering this question since it has a lot to do with your setup, hunting style, and vision. We’ll talk you through the ins and outs of big and small peep sizes. By the end, you may be closer to determining what size will do you right in the field whether you’re sticking it out during the day, you’re out at first and last light, in the stand, or long-range hunting. You know this has to be addressed. For the many peep users out there, there are just as many that go without. But, what exactly is a peep sight? It’s a string attachment that ensures line of sight alignment between your eye using the peep, sight housing, and the target. Of course, going peepless also has its own set of benefits. It forces you to become intimately familiar with consistent anchor points so you have the same form when shooting as when you sighted in your bow. You’ll also have instant low light visibility improvement, faster target acquisition time, and obviously you won’t have to deal with any peep sight alignment issues. However, it takes practice and effort to get used to going peepless and making it an effective move on your part. Heavy emphasis on form can’t be overstated. Like many things to do with bows and shooting, you either like it or you don’t. A vast majority of bow shooters still use peep sights, and they’re often pre-installed when you purchase your bow. With that in mind, here’s some peep sizes that could do it right for your type of hunting style. Peeps with small diameter sizes are known to improve accuracy. Target and competition shooters may sport small peep sights because they offer a narrow aiming window. During normal lighting conditions that are expected with daylight hunting, a small peep can actually offer better sight picture clarity since the aperture allows for enhanced focus on the target downrange. However, if lighting conditions were to change such as going from open areas to thick timber with heavy shading or when it’s low light, your sight picture will become dark. Those with vision problems may not benefit from using a small peep right off the bat. So, it goes without saying that a small peep would be suitable for hunters who require extreme accuracy, say for game with small kill zones. It would only be appropriate for daylight hunting when there’s as much light as possible, and only those with average to excellent eyesight could take advantage of a small peep. Small peep sight sizes can include 1/32″, 3/64″, 1/16″, 3/32″, and 1/8″ being the largest of this lot. It’s worth mentioning that long axle to axle bows would pair well with small peeps since the string comes closer to the eye. Peeps with larger diameter sizes may not be as accurate-driven as small peep sights. They’re geared towards allowing more light in for a brighter sight picture in low light conditions or in heavily shaded areas. They’d also be appropriate for close range hunting to take advantage of the full field of view to appropriately aim your pin on the target. Those with problematic eyesight and vision problems would be better suited with a large peep sight for hunting. Sacrificing the accuracy expected of a small peep size within forgivable boundaries in hunting is acceptable because of the large kill zones on animals such as deer and elk. However, even if you prefer the larger peep size, you’ll still need it to properly fit your sight picture. If you have too much floating space around the sight housing ring while looking through the peep, you will run into accuracy and form issues. If you’re a hunter that takes advantage of first and last legal light, may have aging eyes, and may be shooting from a stand and taking close range shots, then you might want to consider a bigger peep size. Short axle to axle bows also pair well with large peeps since they have sharp string angles that forces the peep further away from the eye. Large peep sizes can include 3/16″, 7/32″, 1/4″, and 5/16″. 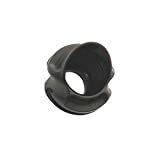 G5 Outdoors Meta Pro Peep Hunter Sight, Blue, 3/16"
Knowing how to use a peep sight might help you to determine what the best peep size will be for your setup. 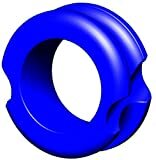 The most popular sizing method is to opt for the peep that fits the sight housing ring. What do we mean by this? There are two different ways to use a peep sight. At full draw, you center the pin you need to aim with within the middle of the peep sight. Depending on what pin you use, you may or may not see part of the top or bottom of the sight housing within the peep sight view. The entire sight housing ring must match the peep sight ring. You have an unobstructed view of all pins, full field of view, and the sight housing ring matches perfectly with the peep sight. Method 2 is the recommended way to use a peep sight since it encourages you to choose the most appropriate peep size for your setup. It also ensures your anchor point remains the same regardless of what pin you need to aim with. Slightly move at the waist to get the right pin on your target’s kill zone. Method 1 is still used by some, however, it can cause a drop in your anchor point to get your bottom pins centered. Moving your anchor point means inconsistent form, reduced accuracy, and can be a complete miss. Trying out a few different sizes while at a dealer will also help to narrow down what size works best for your setup. If you plan on using the same bow for multiple activities no matter the time of day or lighting conditions, you can save time finding the right peep sight size and opt for a specialty peep sight. These types of sights may be adjustable in diameter, easily interchangeable to be transferred from bow to bow, and are completely compatible to be used with different bow sights. They are typically more expensive than your average one-size peep, but the cost may be worth it if your needs require the specialty features. You might also be interested in what peep accessories such as a clarifier and verifier can do for your sight picture. Outfitting the perfect peep to match your setup is a personal touch. Your vision is needed to confirm whether a certain peep will work for you. Although trying out different peeps might be tedious, it’ll be worth it in the end. Taking the time to properly prep your gear for the hunt will improve your odds for success. At the very least, you won’t be one of them who loses the shot for whatever reason because you have the wrong size peep!